"We try to bend the curves towards ending TB more sharply by implementing WHO End TB Strategy. The National TB Programme of Thailand (NTP), MOPH [Ministry of Public Health] has come a long way in combating TB", said Professor Emeritus Piyasakol Sakolsatayadorn, Minister of Public Health, Thailand, in an exclusive interview with CNS (Citizen News Service). Concerted and well-coordinated multi-sectoral action coupled with strong commitment from top political leadership has indeed made a difference in Thailand's fight against TB. This has resulted in the approval of National TB Strategy in Thailand by the cabinet with additional funds to support TB case finding through latest molecular diagnostics and chest radiography especially in high risk groups (such as people in prison). Keeping in mind the acute need of new molecular diagnostic tools for early detection of TB, new drugs to treat TB (including drug resistant TB), and eventually having a TB vaccine, Thailand government has also funded a national TB research network (formally known as 'ThaiTurn') that aims to bring innovative tools and strategies to bolster the country's response to end TB. In August 2017, ThaiTurn launched the country's first-ever national TB research roadmap. This roadmap includes research priorities targeted at addressing health systems challenges, as well as the prevention and treatment of multi-drug resistant TB (MDR-TB). "This roadmap is a vital blueprint for invigorating efforts to end TB in Thailand," had said Minister Piyasakol Sakolsatayadorn at the launch of this roadmap. "Leveraging this prioritized research strategy, with all stakeholders engaged, is expected to produce strategic innovations for patient-centred TB prevention and care, bringing us one step closer to provide a promising solution for ending TB in Thailand." 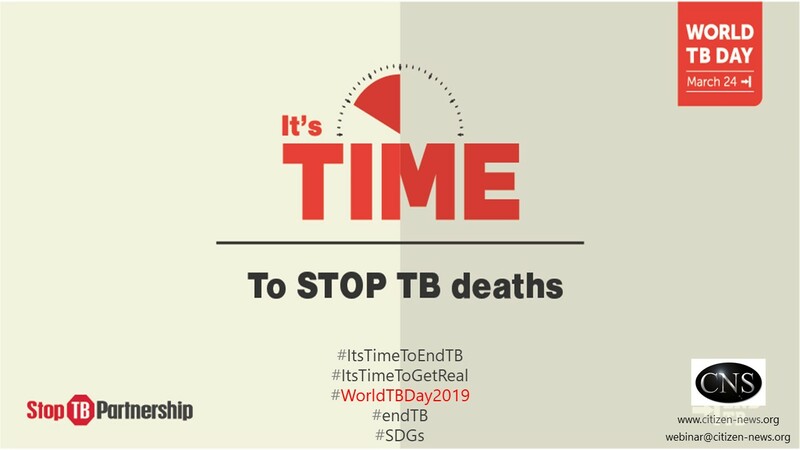 According to TB Alliance (Global Alliance for TB Drug Development), today's TB medicines are inadequate to tackle the pandemic. TB treatments take too long to cure, are too complicated to administer, and can be toxic. New treatments that are faster, simpler, and affordable are urgently needed. Echoes Dr Soumya Swaminathan, who is the first-ever Chief Scientific Officer of the WHO and former Deputy Director General of this UN global health agency. "Without new tools, elimination goal for TB is not going to be possible. And these new tools would mean a point of care rapid diagnostic test which can be performed in the field settings to screen as well as to diagnose TB, a treatment combination of drugs that would cure TB in a short period (1-2 months), a better vaccine for TB and a better detection and treatment strategy for latent TB. These are the identified gaps where research and development (R&D) is needed. I think it is really important to have a roadmap so that we can track progress and eventually end TB."